Harbour House is situated in Cobb Square at the bottom of Cobb Hill beside the harbour and the start of the Cobb, famous film location for the iconic scene in the "French Lieutenant's Woman". The accommodation is a mere stones throw from the beach. The holiday flats are above the Deli-Weli General Stores and Ice Cream Parlour and provide comfortable self-catering accommodation with parking. A level walk of a few minutes along Marine Parade or a steeper walk through the gardens will take you to the main town. 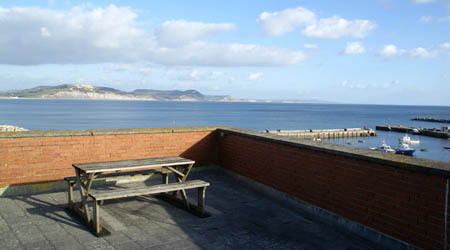 * Dedicated space in car park behind Harbour House included 1st April to 30th September. Nearby space can be booked Oct to March. * Dedicated space in a private car park a few yards up Cobb Hill all year round (can be walked in a minute or so). 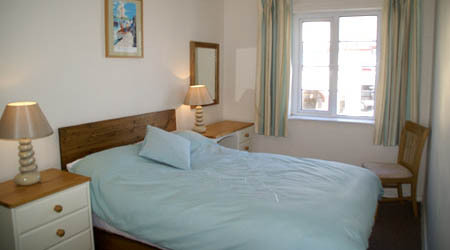 Harbour House is a family run business and has been available for holidays for over thirty years. It was purchased by our grandmother in 1953 and holiday letting commenced in the 80s. It was originally run by our mother and aunt (Jill and Monica) who you may remember if you have been staying with us for many years. In 2007 the reins were handed to Ali and Marky (Jill's children). Flat Two was briefly out of our ownership between 2008 and 2011. Ali lives near Exeter with her husband and three boys. Marky lives in Lyme and is on hand for practical matters. We are very grateful to everyone who chooses to stay with us but in particular to our many regular guests who return year after year and also to those who visit several times a year! The flat is a true gem. Everything you could possibly need for a holiday by the sea. Will definitely be back again. Absolutely stunning apartment. You have thought of everything. 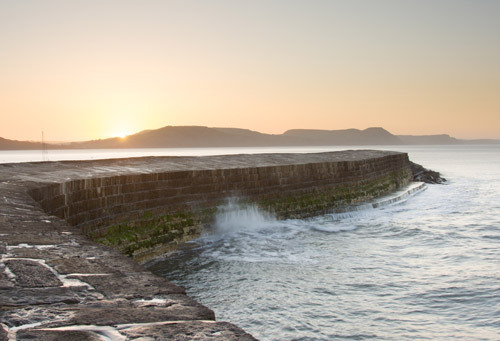 The Cobb, famous harbour wall in Lyme Regis and the location for the iconic scenes in the film "The French Lieutenant's Woman". 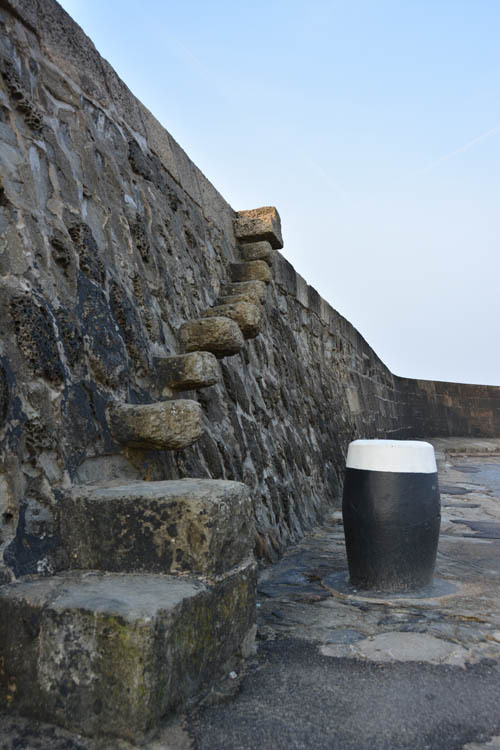 Granny's Teeth steps on the Lyme Regis Cobb, the setting of the incident in Jane Austen's novel 'Persuasion' where Louisa Musgrave falls.